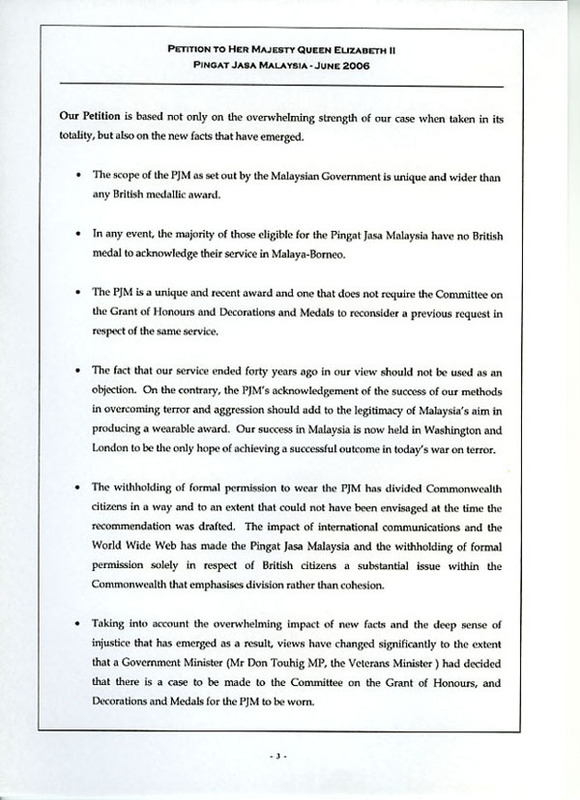 In May 2006 we were told that the PJM case would not be re-opened because, in the view of the handful of civil servants controlling the British Honours System, there was nothing new in what we were saying. 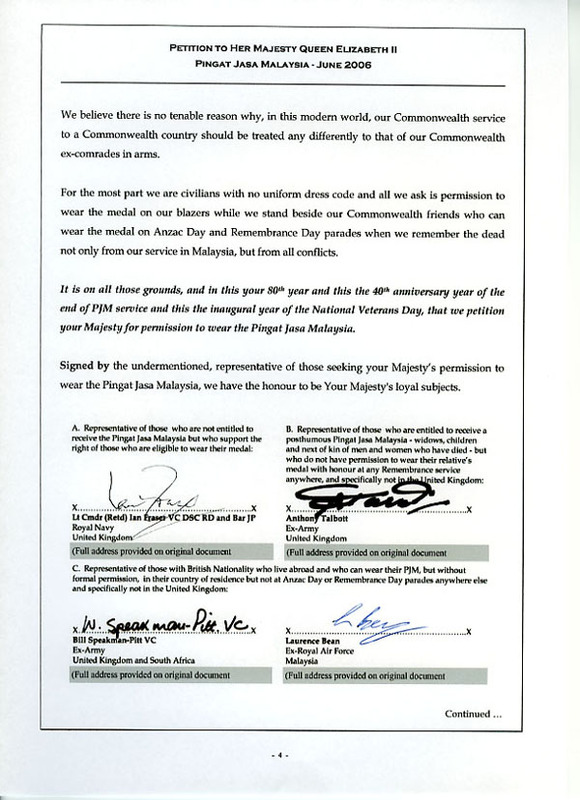 Everything we were saying about the flawed decision was new - if it hadn't been, it meant that the civil servants had knowingly imposed a travesty of justice on British Malaya-Borneo veterans. 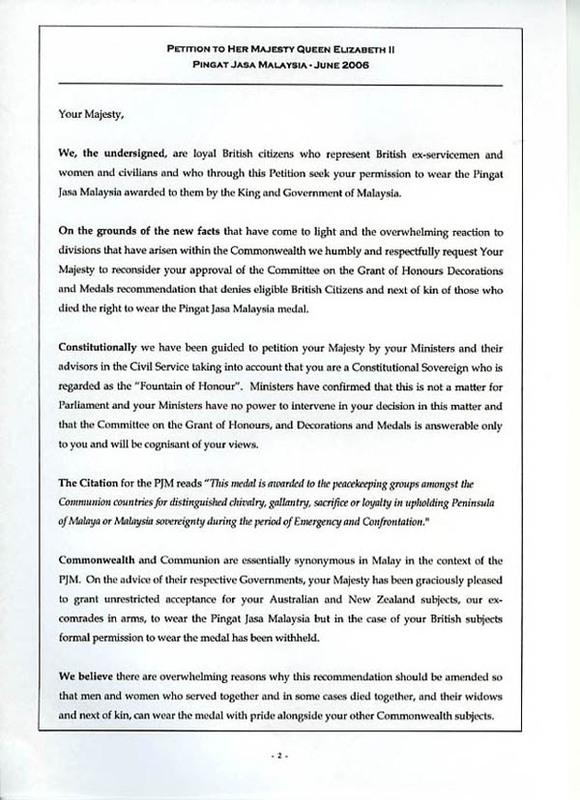 After very careful consideration amongst the Fight4thePJM, and extensive consultation with those closely connected to the workings of Buckingham Palace, it was made clear to us that it would be perfectly proper for us to submit a Petition to Her Majesty The Queen. We decided not to implement a public petition - we saw that as too aggressive. We wanted the PJM case to succeed on its own merits. And so it was agreed that we would ask a number of people to sign the Petition as being representative of PJMers around the world. You can see who they are, and who they were representative of, at the end of the Petition. 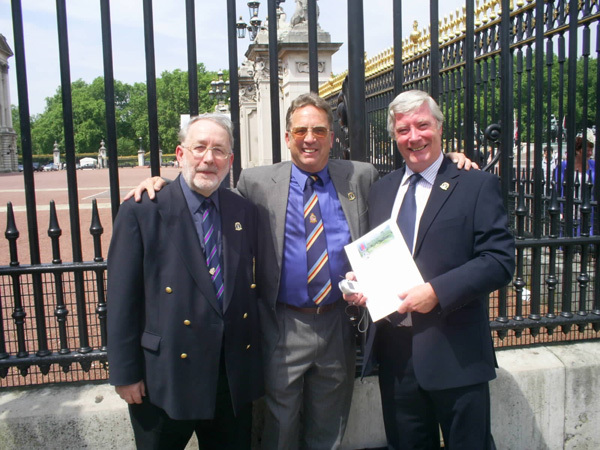 We were invited to take the Petition to Buckingham Palace. We did so on the 12th June 2006. 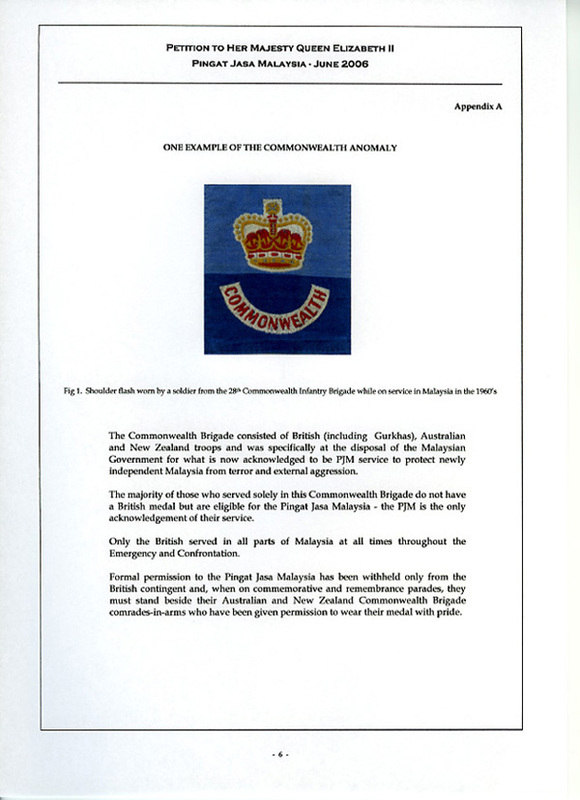 We received a very warm response from The Queen who then forwarded our Petition and our Rebuttal to the Foreign Secretary 'for consideration' highlighting, as She did so, that She had noted "the worldwide community who seek permission to wear the Pingat Jasa Malaysia".